Here at Burnside Primary School we value the opportunity and positive interactions that children can experience through sport. One of our core beliefs is that children should be active learners, and a key part of that is being involved with sport. Children are able to participate in wide a range of summer and winter sporting activities both at school and outside of school competitions. Daily fitness makes up a regular part of our day, with the children loving developing endurance, stamina and strength during this time. Physical Education lessons across the school assist children in learning and developing skills and game sense. Our whole school participate in athletics sports, swimming sports and cross country. To assist with the development of fundamental skills, a Perceptual Motor Programme operates for children in the Junior School. Burnside Primary School is a member of the ‘West Zone’ in the Canterbury Sports Association and this means that our children take are able to take part in ‘zone’ and ‘central’ winter tournaments, cross-country, athletic and swimming events. 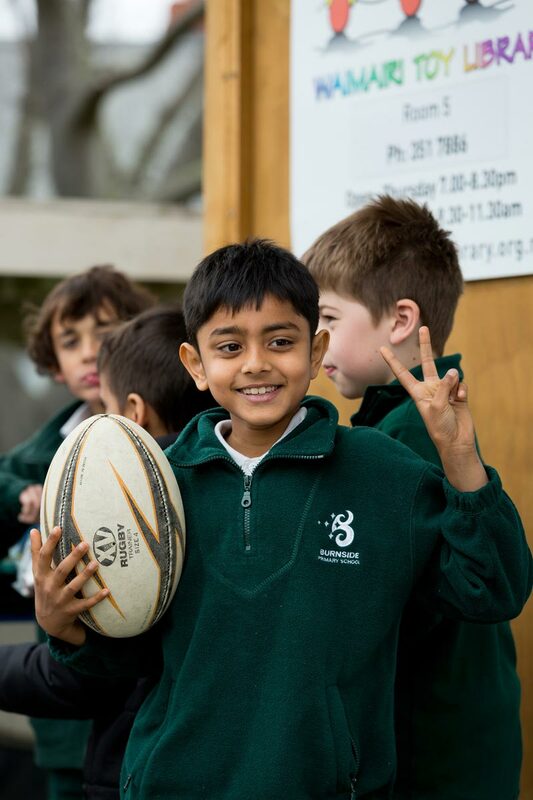 All Year 5 and 6 children take part in a winter sport (hockey, netball, rugby and football) programme, competing against other primary school teams at Hagley Park and at nearby schools. Swimming across the school in Term 1 and Term 4 is at Jellie Park. Water safety has been deemed a priority by the Board of Trustees, and we take advantage of such a fantastic facility so close to our school. Many other outside providers offer opportunities to our children over the year. Golf, hockey and softball have been offered recently, and we look forward to developing further opportunities for our children.